Former Thai Prime Minister Abhisit Vejjajiva has stepped down as the leader of the Democrat Party after poor results in the country's first general election since the 2014 military coup. Thailand's oldest political party came in in fourth place in the popular vote, getting just a little more than three million votes, according to partial results released by the Election Commission, with 91% of votes counted. 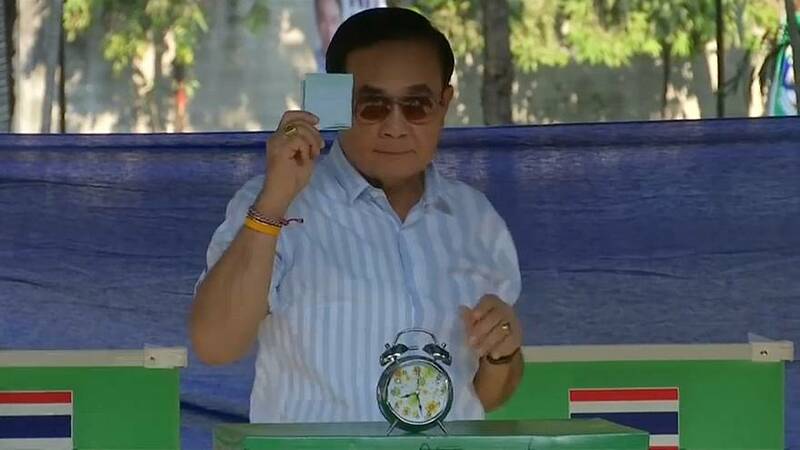 It has been a long-awaited poll after the army repeatedly postponed it, despite promising - when they came to power five years ago - to restore democracy. And even now, candidates are concerned whether it will be carried out fairly. Candidate, Sudarat Kayurapan, said: "What concerns people the most now is cheating in the election because it will distort people's will. It will distort what people really want in this election." Unofficial results are likely to emerge shortly after polling stations close on Sunday but it could be several days or even weeks before the full political picture is made clear.